Pyramid at Chichén Itzá: Year Designated: 1988The brilliant ruins of Chichén Itzá evidence a dazzling ancient city that once centered the Maya empire in Central America.The stepped pyramids, temples, columned arcades and other stone structures of Chichén Itzá were sacred to the Maya and a sophisticated urban center of their empire from A.D. 750 to 1200.Viewed as a whole, the incredible complex reveals much about the Maya and Toltec vision of the universe—which was intimately tied to what was visible in the dark night skies of the Yucatán Peninsula.The most recognizable structure here is the Temple of Kukulkan, also known as El Castillo. This glorious step pyramid demonstrates the accuracy and importance of Maya astronomy—and the heavy influence of the Toltecs, who invaded around 1000 and precipitated a merger of the two cultural traditions.The temple has 365 steps—one for each day of the year. 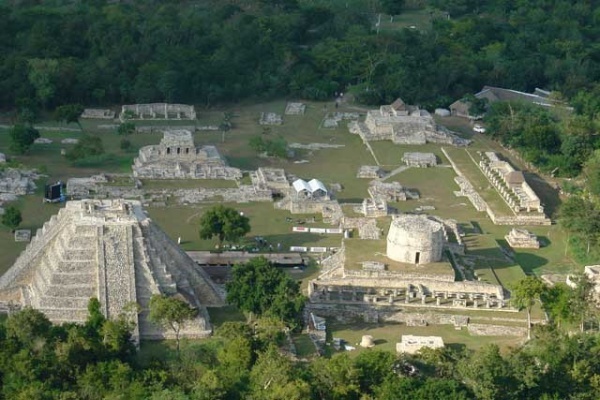 Each of the temple’s four sides has 91 steps, and the top platform makes the 365th.Devising a 365-day calendar was just one feat of Maya science. 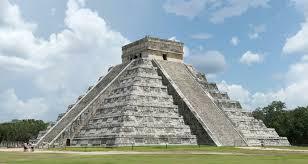 Incredibly, twice a year on the spring and autumn equinoxes, a shadow falls on the pyramid in the shape of a serpent. As the sun sets, this shadowy snake descends the steps to eventually join a stone serpent head at the base of the great staircase up the pyramid’s side.The Maya’s astronomical skills were so advanced they could even predict solar eclipses, and an impressive and sophisticated observatory structure remains on the site today.This great city’s only permanent water source was a series of sinkhole wells. Spanish records report that young female victims were thrown into the largest of these, live, as sacrifices to the Maya rain god thought to live in its depths. 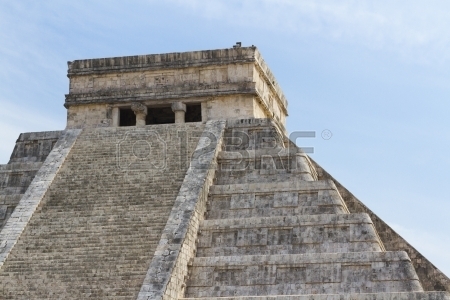 Archeologists have since found their bones, as well as the jewelry and other precious objects they wore in their final hours.Chichén Itzá's ball court is the largest known in the Americas, measuring 554 feet (168 meters) long and 231 feet (70 meters) wide. During ritual games here, players tried to hit a 12-pound (5.4-kilogram) rubber ball through stone scoring hoops set high on the court walls. Competition must have been fierce indeed—losers were put to death.Chichén Itzá was more than a religious and ceremonial site. It was also a sophisticated urban center and hub of regional trade. But after centuries of prosperity and absorbing influxes of other cultures like the Toltecs, the city met a mysterious end.During the 1400s, people abandoned Chichén Itzá to the jungle. Though they left behind amazing works of architecture and art, the city’s inhabitants left no known record of why they abandoned their homes. Scientists speculate that droughts, exhausted soils, and royal guests for conquest and treasure may have contributed to Chichén Itzá's downfall.Recently this World Heritage site was accorded another honor. 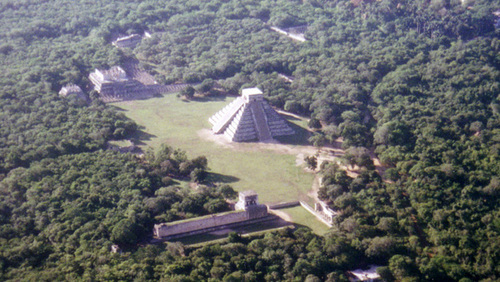 In a worldwide vote, Chichén Itzá was named one of the New Seven Wonders of the World.